In an ever changing world one thing seems to always remain the same, a meal at Cracker Barrel Old Country Store. It is perhaps that universal sameness, both in food and décor, which always leaves me a bit disappointed. While the artifacts that hang on the walls are authentic they have nothing to do with the owner, nor those serving the food. This fabricated ambience made up of assorted farm tools, metal signs, family photographs, cast-iron cookware and old-fashioned toys might have an initial appeal, but it falls short of satisfying a deeper desire for something authentically down-home. It lacks individuality we so appreciate and merely delivers an ambience that is mass produced in cookie cutter fashion coast to coast. What we desire in a place that calls itself an Old Country Store is organic society and are often sadly disappointed. This is exactly what I found off the beaten path at Mammy’s restaurant in Bardstown, Kentucky. As with other examples of organic society in America, I was not actually looking for such a place when I drove into Bardstown, Kentucky on a particularly nice sunny fall morning. This charming city earned the Rand McNally distinction of being the Most Beautiful Small Town in America for 20121 so I figured it might be a good place to find an authentically down-home breakfast rather than the standardized version so commonly dished out at Cracker Barrel. This is what led me to Mammy’s and a memorable conversation with owner Christy Clark who took time from her busy schedule to tell me the history of her restaurant. What really got my attention was the fact that all the food she serves is prepared with recipes taken from the book she inherited from her grandmother Hourigan. “Wooodja like to see it,” she asked. She quickly disappeared into the back room and returned with the Hourigan Family Recipe Book. As I thumbed through it I could not help chuckle at the food stains clearly visible on certain pages. They were signs of special moments in the kitchen and Christy’s appreciation for it revealed a key to her success. Since she was a small girl, Christy had always been interested in cooking. She was often seen hanging around the stove and remembers the aromas wafting through the air where she grew up in Gravel Switch, Kentucky. More importantly she remembered the happiness such culinary scents produced on the face of grandkids and farm workers. It therefore seemed reasonable that she would one day open a restaurant. That is not what she and her mother Thelma had in mind, however, when they first went into business together with Christy’s Collections, an antique shop, and Sew It Seams by Thelma. 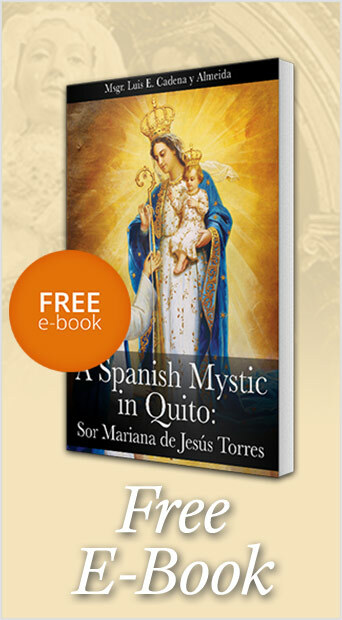 Her mother occupied the back room while she took the front in a little shop on Main Street. She quickly filled it with antique items while her mother grew a clientele with her sewing skills. With the growth of their original business ventures they became very busy but never lost their appreciation for good home cooking and the desire to share it with others. “We were always a wantin’ something to eat,” Christy said, “And were just dying for some pinto beans and cornbread.” So they decided to satisfy this craving by opening an antique café and decided to call it Mammy’s for her grandmother Hourigan. After a trip to the grocery store, they excitedly began cooking but opening day turned out to be dismal. “We had all the food prepared but no one showed up,” she explained with a laugh. They solved the problem as Southerners do. Christy went out into the street and literally grabbed the first person who happened to be walking by. Mr. Wilson liked it so much he became a regular and through word of mouth others followed. As the numbers increased so did the need for proper seating. They simply had no place to put customers. Some sat on the antique bed from Christy’s Collections, others found chairs next to her mother’s upholstering table. “We were clueless as to what we were doing,” Christy explained, “we just wanted to make people happy and to feel comfortable and relaxed.” Without realizing it she was pointing out a key characteristic of organic society. Such places are not bureaucratically planned in a sterile way but rather spring up spontaneously from ones good impulses. It might have been organic but there were rough spots that still needed to be ironed out. Without proper ventilation, for example, they were forced to keep the back door open. While the locals didn’t seem to mind going back to work smelling like a piece of bacon, Christy explained, members of the health department did. “We love what you are doing,” they said, “but you can’t do this.” They were forced to move into the vacant building next door and thus, Mammy’s was born. What started as an antique shop, and blossomed into a café eventually turned into a full-fledged restaurant. They now have thirty-five regulars who call Mammy’s home when they are hungry for a good meal and Southern hospitality. More importantly they are attracting tourists willing to bypass the local Cracker Barrel in favor of a more authentic version of down-home America. As a child growing up on a farm they always named their milk cows so Christy decided to have a contest to name her new Holstein with the winner receiving a $50 dollar gift certificate. They wound up receiving over three hundred entries. After going through all the names Clara Bell won and has since become a central figure and point of reference for those driving down the street. This is but one example of how Mammy’s makes a person feel they are part of the family. 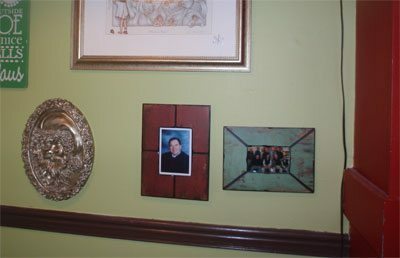 “A picture of the Breakfast Club (right) whose members make up “the regulars” and a photo of the late Judge Bob Heaton (center) who enjoyed Mammy’s for five years. 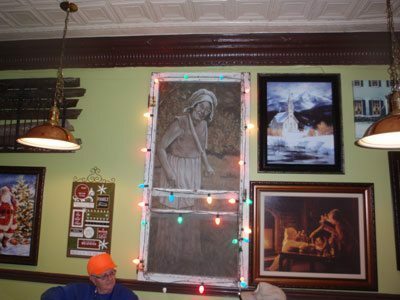 Besides the prominent photo of Grandmother Hourigan hanging on the wall as you enter, there is also a picture of the Breakfast Club whose members make up “the regulars.” There is a special place for what could be considered their founding member, the late Judge Bob Heaton. He passed away in July of 2012 but enjoyed eating at Mammy’s for five years. These are not just wall ornaments but make up part of what Christy calls her Memory Walls because they remind her of the people she does not want to forget. One of Mammy’s favorites was John Pruitt. Like other Breakfast Club members he appreciated the dollar cup of coffee but he received a treatment one rarely finds away from home. Mr. Pruitt was a 93-year-old diabetic and Christy adapted the menu to his diet with sugar-free jellies and deserts or an extra piece of sausage if he so desired. Such bending to the needs of the customer might seem out of the ordinary but this is something else which sets Mammy’s apart from others. It is something the casual outsider who stops off for a meal will never know. In January of 2009 Christy’s mother was diagnosed with cancer and had to undergo surgery and several painful rounds of chemotherapy. While the surgery was successful she had a relapse and eventually succumbed to the illness. Christy never forgot the discomfort which the chemo caused her mother and made the decision to do the only thing she could to alleviate the pain of anyone going through a similar ordeal. Thus was born a custom one would not expect to find in a modern-day eatery. Dan Bennett was one such patient, whose picture can be seen on the Memory Wall smiling from ear to ear, with Christy and her daughter Robin. He came in every morning for a year to eat his favorite, French toast. When he was too sick to come in Christy modified her original offer. For Dan and another patient who were simply too sick to come into the restaurant, she, like the doctors of old, made house calls and delivered the meal of choice to them. Dan eventually died of cancer but describes the compassion he received at Mammy’s as “life changing.” Chemo may not have been able to save his life, but Mammy’s good food and affection breathed new life into his soul. And so is Mammy’s but not without bumps in the road. In June of last year a fire started in the building next door and threatened to destroy all Christy’s hard work. By the time she arrived faithful townspeople were grabbing everything they could to save it from the fire. 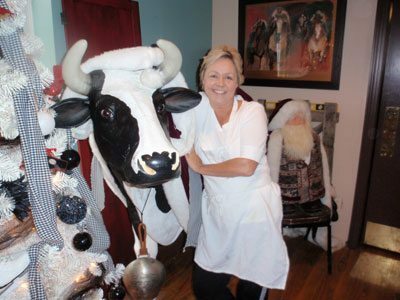 Clara Bell, the life size Holstein cow with Mammy’s owner Christy Clark normally has a prominent place in the Restaurant’s front window. When the firemen arrived their main concern was extinguishing the flames. They were shocked by the insistence of Mammy’s customers to save the memorabilia they had grown to love, most particularly Clara Bell. Christy laments not having a photo of the firemen hauling the giant Holstein cow through the smoke and safely out the front door as the loyal customers cheered them on. “Yeah, you saved Clara Bell,” they yelled. Not a single piece of the treasured items was lost in the fire. In the weeks it took to get Mammy’s up and running, Christy would have a daily cup of coffee with 93-year-old John Pruitt on the bench outside. After the restaurant re-opened he surprised her with a collection he had taken up with all the men at the Breakfast Club table. It was a goodwill gesture to help Christy get back on her feet after the fire and also an expression of gratitude for all she had done for him. She resisted the offer and said she did not need it. Try as she might, they would not take “no” for an answer. Mr. Pruitt is gone now, as are Judge Heaton and a few others whose memories remain on the walls of this restaurant that was born organically from the heart. The reader should not interpret this article as an anti-Cracker Barrel statement. It is merely the recognition of what truly is another charming example of organic society in America. I have eaten at Cracker Barrel many times before and will do so again. 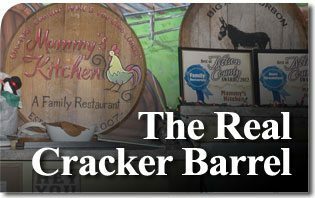 But when I am in Bardstown, Kentucky I will get off the beaten path and enjoy some of Mammy’s home cookin’. Off the Beaten Path is a column that highlights American examples of Organic Society, as defined by John Horvat in his book Return to Order: From a Frenzied Economy to an Organic Christian Society–Where We’ve Been, How We Got Here, and Where We Need to Go. The term ‘organic’ comes from a society’s resemblance to a living organism. Organic society, respects each person’s unique individuality, in opposition to the mechanistic and socialistic society which imposes a suffocating standardization. This column provides refreshing examples of this individuality. This entry was posted in Fighting the Culture War and tagged America, barrel, Bell, cafe, chemo, Christy Clark, Clara, country, cracker, Cracker Barrel, Family, Free, Holstein, Hourigan, Kentucky, Mammy, Mammy's: The Real Cracker Barrel, Order, path, real, recipe, restaurant, return, saving, social, society, store, Tradition by Norman Fulkerson. Bookmark the permalink.